If Divatopia truly existed, I may be so bold to say that Suzanne Vinnik-Richards and Sara Duchovnay would, no doubt, be in its cabinet of leaders. 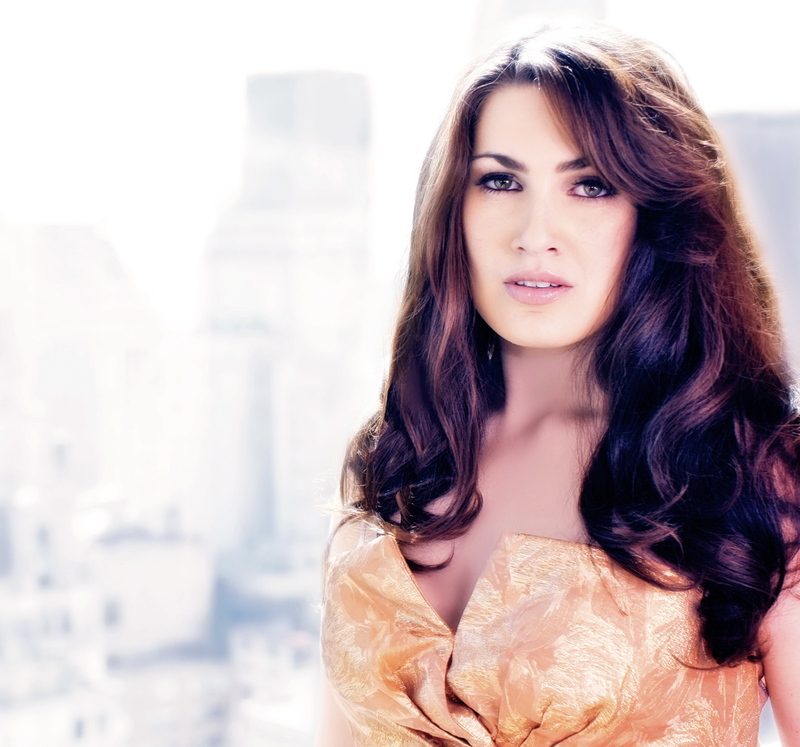 These women are true entrepreneurs in the current operatic and fashion industries. After spending time with them and thinking on this current movement of female empowerment through entrepreneurship, I can’t help but reference a most inspiring pioneer of this movement, and one of my favorite women of history. That woman is Gabrielle Bonheur Chanel, otherwise known as “Coco” Chanel. She is quoted as saying, “Look for the woman in the dress. If there is no woman, there is no dress.” Well, as we sat down over a nice bottle of rosé, I can say, without reservation, that there were two spectacular women (and therefore two spectacular dresses) sitting across the table. Suzanne and Sara are true inspirations- women of wisdom, experience, humor, business savvy, and, of course, timeless style. On the precipice of launching their ground-breaking website, Shoperatic.com, Kathleen and I talked with these incredible divas about their personal journeys, Shoperatic.com, and the current surge in female entrepreneurship within the operatic community. One of the biggest thrills and joys for the team here at The Opera Stage is finding individuals who, through entrepreneurship, passion, tireless work, ingenuity, kindness and inclusivity are quietly changing the landscape of the opera business. And Suzanne Vinnik-Richards and Sara Duchovnay are doing just that: empowering female opera artists around the world one dress at a time. The Opera Stage sat down with Suzanne and Sara and spoke about creating a community, a safe haven, for female professionals in opera, which has become a symbol of collaboration over competition. #FreeTheKnee Part 2:"You have better choices"
Opera Diva Dress Collection and Sing For Hope teamed up for a special photoshoot to promote and celebrate the passionate, fashionable, entrepreneurial, and altruistic divas that make up ODDC, and showcase the 2016 Sing For Hope Pianos as the first joint project under our cultural partnership. "A Letter to the Modern Diva"
This is the first in a series of guest posts by sopranos Suzanne Vinnik and Sara Duchovnay. Vinnik is also the founder of the Opera Diva Dress Collection, a community where singers can buy and rent concert wear, including some of Duchovnay's own merchandise. With audition season fast approaching, Vinnik and Duchovnay address the idea of "rules" governing wardrobe choices for opera singers; with nearly 7000 ODDC followers, the time has come to #freetheknee and rally for change within the industry. How many of us have been given these "rules" for audition wear? Never expose your knees, shoulders, or arms (they are ugly and distracting). Don't wear patterns, florals, stripes or colorful shoes (they will only distract from your face and your voice). Wear a color (but OH GOD, don't wear THAT color). Here are a list of colors that are acceptable…they are most likely jewel-toned. Make sure you're wearing nylons or stockings (no one wants to see your legs). Wear a heel, but not too high of a heel, and not too low of a heel, and not an open toe heel or a peep toe (your toes are ugly and distracting)…colored heels NEVER!!!!! Don't wear your makeup like that. Only wear your hair in one of these few approved styles . Make sure that in the few minutes you have in front of them, the panel gets a clear idea of who you are! Be confident and show your personality and your unique style. ZZZzzZzzzzZzz...It's hard to show your personality when the "rules" limit you to a few dress styles that will undoubtedly be worn by every other woman in the hallways of OPERA America and Nola. It's hard to feel supremely confident in your skin and give your best performance when the underlying message that these rules send is that your body and your individuality might be "wrong". One of our favorite new mantras courtesy of Tracy Cox, "We are not pizza: not everyone is going to like us." "Focus on Opera Diva Dress Collection"
Outfits for interviews and photoshoots, and evening dresses for concerts. There is always the pressure for these to be new and event-appropriate. Who can help young opera singers in choosing the perfect attire and avoiding style mis-steps? Her name is Suzanne Vinnik, the American soprano who’s the founder of Opera Diva Dress Collection, a peer-to-peer sharing marketplace for female performing artists where members can buy, rent and sell apparel needed to pursue a career in today’s professional performing arts industry. But there’s more: group members can share ideas, suggestions and information and build connections, which are so important for people who spend most of their time away from home. The dress which symbolises Opera Diva Dress Collection was created by the American fashion designer Betsey Johnson, whose long career has been established by following her own rules. The “Duchess Windsor” strapless gown is amazing with its pink layered ruffles on the right side of dress and black satin draping covering the left side. Several young opera singers have worn it by renting it from Opera Diva Dress Collection – Audrey Babcock, Suzanne Vinnik, Alexandra Nowakowski and Jasmina Halimic. The dress has been a huge source of inspiration for Jasmina, who teamed up with MatchaMe Cosmetics to create the “Reign of Suzanne”, a violet jasmine organic goat-milk soap, dyed with skin healing activated charcoal, Moroccan red clay and pink sweet potato. All proceeds from the sales will support the group’s future endeavors. This community is such an interesting adventure, and so important for its members from all corners of the world, who range from young students to today’s leading opera divas. "Marriage, music attract Suzanne Vinnik back to her hometown"
Just ask soprano Suzanne Vinnik, a Las Vegas native who concludes a whirlwind Southern Nevada return this weekend with Opera Las Vegas’ production of “Carmen” at UNLV’s Judy Bayley Theatre. Now based in New York, the 29-year-old Vinnik began her hometown sojourn in mid-May, when she performed “A Night of Opera” with the Henderson Symphony. In between singing engagements, she got married — at Spring Mountain Ranch State Park. “I lucked out,” Vinnik admits, noting how her now-husband Keenan Richards, a resident anesthesiologist back in New York, had time off that coincided with her Southern Nevada singing engagements. “Carmen” provides Vinnik with the chance to sing one of her favorite roles. But it’s not the title one. Not that Carmen has any intention of staying with Don Jose, who’s left in despair when Carmen moves on to the charismatic, rock-star toreador Escamillo (Trevor Scheunemann). “I hope nobody knows people as terrible” as “Carmen’s” central characters, Vinnik says during a rehearsal break at UNLV. Micaela’s also a decided contrast to many of the roles Vinnik usually sings, such as “La Traviata’s” Violetta (a courtesan dying of consumption) and “La Boheme’s” Mimi (a seamstress dying of consumption). But Vinnik radiates sweet innocence while rehearsing with Antipenko, director Henry Price (a former New York City Opera tenor who now runs Pepperdine University’s opera program) and musical director Gregory Buchalter, a conductor at New York’s Metropolitan Opera. “You asking tenor how he want to do kiss?” Antipenko asks, partly in jest, as Price oversees a tender moment, culminating in a chaste kiss between Don Jose and Micaela. Vinnik’s voice, “like Suzanne herself, is very warm,” according to Luana DeVol, Opera Las Vegas’ general manager, a retired opera singer herself. “She’s a delightful person to work with. And we’re excited to bring a hometown girl making good” to Las Vegas audiences. It’s hardly the first time Vinnik has sung for local opera fans, however. Vinnik was especially taken with star soprano Renata Scotto, who played the singer Musetta — and sang while riding in a horse-drawn carriage. Vinnik’s father, retired plastic surgeon Charles Vinnik, was “good friends with Vassili Sulich, founder of Nevada Dance Theatre (now Nevada Ballet Theatre) and Sulich gave the aspiring young singer opera CDs as birthday presents. But it wasn’t until she entered fifth grade at the Gilbert Magnet School for Communication and Creative Arts in North Las Vegas that Vinnik truly felt at home. Vinnik attended the Las Vegas Academy but graduated from Cimmaron Memorial High School, then graduated from Texas Christian University in three years — and moved to New York to pursue her musical career. Less than a year later, she found herself in Rome — studying at the Opera Studio di Accademia Nazionale di Santa Cecilia under the tutelage of Scotto, whose “La Boheme” performance inspired her opera dreams in the first place. Yet Vinnik’s opera career extends beyond performance. Three years ago, she started the Opera Diva Dress Collection, an online platform whose 6,000 members have become “a sisterhood of sorts,” sharing far more than the gowns they buy, rent and share for on-stage engagements. “These gowns are so expensive,” Vinnik notes. And while male singers can wear the same suit or tuxedo at every appearance, the ladies need multiple options for performances and photos. Vinnik’s on- and offstage life may be based in New York these days. But Las Vegas will always be home — and not just because her parents live in Summerlin. “Every time I go anywhere, people ask, ‘You’re from Vegas? What kind of music is there?’ ” she says. "Rock On! This week's soundbites..."
"Opera," the very word evokes images of class, elegance, tuxedos, long gowns, balcony seats in regal theaters,and beautiful arias; if you're around the age of 50 it may also jog the memory for a few oldLooney Tunes or television commercials. Regardless of which, it is perhaps the most beautiful form of raw human power in the entertainment world. Using one's voice to create emotion, dictate direction and the telling of a story, done so in a language that is foreign to many; yet moving to all. "I was eight years old," says soprano and international opera star Suzanne Vinnik as she discussed her upcoming March 5 appearance with the New Jersey Festival Orchestra where she'll star in the role of"Mimi" in the classic Puccini opera,"La Boheme." "My teacher gave me a VHS tape of "La Boheme" and I remember I had no interest, I didn't want to watch it at all but when I finally gave in; I fell in love." No longer an eight year old child, this statuesque brunette from Nevada is causing others to fall in love with not only "La Boheme" but opera as an art form. An "alumnus of the Opera Studio di Accademia Nazionale di Santa Cecilia in Rome, Italy where she studied and performed under the tutelage ofRenata Scotto" (as quoted on her website), Vinnik also owns a B.M. in "Vocal Performance" fromTexas Christian University. "I don't think people realize how much opera is in their lives," she said with a laugh. "It's in movies and commercials; it's very much all around us." Over the years, Vinnik has played the roles of "Violetta" in "La Traviata," of "Micaela" in"Carmen" as well as countless other leading roles. However, her first big break, came in elementary school as she took on the role of "Sandman" when the Nevada Opera Theatre presented "Hansel und Gretel" at her elementary school (CVT Gilbert Magnet School for the Performing Arts). "It's crazy how I got it," she explained of her first prominent role with a bit of whimsy in her voice. "We were doing the same opera ("Hansel und Gretel") with the company that I was with and I didn't like singing in the chorus so, I went to the head of the company and told her that I wanted to sing solos. She allowed me at a gala and when there was an opening in Hansel and Gretel, she let me do Sandman." She's gotten many parts since and performed on some of the most renowned stages world wide, including "Carnegie Hall," "Lincoln Center," "The Opera House in Norway" and most recently at "The Stanislavsky Theater" in Moscow, Russia. When asked if she had a favorite, Vinnik turned politician, "Gosh, it's hard to say. I have sung in so many cool places and have been so very fortunate to do so." When prodded a bit, she finally confessed that there is nothing like playing for your hometown fans; "Performing with the "Las Vegas Philharmonic" at"The Smith Center" in front of my family and friends was the most special so far. I have to admit that it was really special and a huge thrill for me." In addition to her beautiful voice, Vinnik has started a very popular Facebook group called,"Opera Diva Dress Collection,"
where she puts her talents and notoriety to use helping others in the trade. "I'm very happy to say that we now have over 5,000 members on this Facebook group page. I created this page so that other ladies of opera could buy, sell or just swap performance clothing and it's been met with great success and it's only growing; it's been really helpful and a great resource." A captivating performer and engaging personality, Vinnik is very much looking forward to her New Jersey appearance next week. "Oh this is going to be great! I am very excited to return to New Jersey," she said enthusiastically. "Boheme is perhaps the most popular opera there is and this is going to be a special night; performing with the symphony orchestra and Maestro David Wroe, he's so wonderful to work with; it's hard not to be excited. I think that people should really try and come out to see this; I think they'll recognize more of the music than they may be aware of." "La Boheme," is the story of doomed young lovers in Bohemian society and is the inspiration for the modern day musical "Rent." In this particular version, Vinnik's role of Mimi is that of a tattoo artist as opposed to the traditional seamstress as in other productions. The opera has been somewhat modernized but is performed in Italian with super-titles and full costumes. The New Jersey Festival Orchestra will be bringing this all to life at The Presbyterian Church in Westfield, NJ located at 140 Mountain Avenue at 7 p.m. Tickets are available atwww.njfestivalorchestra.org or by calling (908) 232-9400. These three beauties are also interested in how their health and psyche affect them on and off the stage! Suzanne appeared along singers from the Saratov Opera & Ballet with American Opera singers Dominic Armstrong & Reginald Smith Jr. as part of a cultural exchange between the USA & Russia. Suzanne made her Russian debut at the Stanislavsky Theater as part of a Concert of Young American and Russian Operatic Singers. I sometimes wonder what the average number of evening gowns in the closets of opera singers. Probably at least 5 - maybe closer to 10? Having a closet that won't stay shut from all the tulle doesn't actually sound like a bad problem, but it's certainly not practical. American soprano Suzanne Vinnik knows that it can be pricey to be a professional singer, and concert wear can be a huge expense. So, she started the Opera Diva Dress Collection Facebook group, where singers can buy, sell, and rent gowns from other like-sized singers. Dresses make the rounds and get the stage-time they deserve, and singers can save money without looking like an actual starving artist. Brilliant! You can be envious of her beauty, her talent, her international lifestyle, but you have to love a girl who cops to spending her rent money on a shih tzu pup to help her beat the single-girl, always-on-the-road, can't-do-that-cause-it-might-compromise-my-career-blues. The Las Vegas Philharmonic will open its new season this Saturday with music from great operas, or music inspired by operas. The masterwork itself is Strauss' Der Rosenkavalier Suite,but there will also be duets from Puccini's La Boheme, Verdi's La Traviata and Mozart's Marriage of Figaro. Why are opera arias some of the most famous themes in classical music, and how does the orchestra change its performance when it's accompanying singers? Suzanne Vinnik and Cody Austin on The Morning Blend promoting "Operatic Love" with the Las Vegas Philharmonic at The Smith Center for the Performing Arts. Fox 5 TV Interview with Las Vegas Philharmonic Concert Master De Ann Letourneau discussing upcoming concert "Operatic Love" at The Smith Center for the Performing Arts! Once Upon a Time, there was this beautiful little girl, who had such a passion for fashion and classical music, she vowed to become an Opera singer. Through hard work and perseverance, that little 8 year old became the Operatic Soprano whose powerful vocals could easily shatter chandeliers on stage. Her name is Suzanne Vinnik and she is the recipient of numerous prestigious awards, with the most recent being the Georg Solti Foundation Grant and the Sullivan Foundation Career Development Award. Now Suzanne is taking South Florida by storm with her performance as one of the Violetta’s for Florida Grand Opera’s “La Traviata”. It is truly fascinating and enlightening to hear such a determined young artist to be fully invested and committed to the Violetta role which is indeed a staple of the operatic repertoire being at the top of the list of the most performed operas in the world. Suzanne Vinnik grew up in Las Vegas, where she discovered her love of classical singing. Recently she embarked on an opera tour that has taken her all over the world. She'll talk about the trials and tribulations of being a young opera singer, and the role she's looking forward to the most. Suzanne sat down with Molly O'Donnell to talk about her career in opera and Las Vegas' impact on it! Featured interview with blogger Jacoboheme! As Betsey Johnson has spread to New York, LA, Nashville and beyond, the stars have fallen in love with her designs: Reese Witherspoon, Rihanna, Kate Moss, Britney Spears, Blake Lively, Cameron Diaz, Mischa Barton, Lauren Conrad, Carmen Perez, Kelly Osbourne, Natasha Bedingfield, Suzanne Vinnik, Avril Lavigne, Ciara, and the list goes on and on. Shows that feature music on TV, like Glee and American Idol, are filled with singers strutting Betsey’s style. Suzanne rehearsing a duet from Cosi fan tutte with close friend J'nai Bridges.